Looks like a public bath tower in the distance? Is normal to have a building with different kind of shops and listed outside like that? yes, this is quote a normal thing. There are often big signboards showing the different tenants in the building like this. 🙂 I’ll try and grab some more photos of these type of boards next time. My eyes!!! So much color >o<! So glad to see that you’re back in action after a while! Damn those hackers! But boy, you sure are going all over the place lately; I have some catching up to do!! hahaha 🙂 Will be heading back to Tokyo this November for a two week stay, but I think I`ll dedicate a few days to seeing these kind of spots that you’re showing us that are “off the radar” so to speak; Shibuya246.com proving to bet every damn Gaijin info center there is! This looks like a very peaceful neighborhood, a lovely stroll in the afternoon. Hope you have a great trip. I’ll try and get all my latest photos up soon. ah brings back good memories of the area. 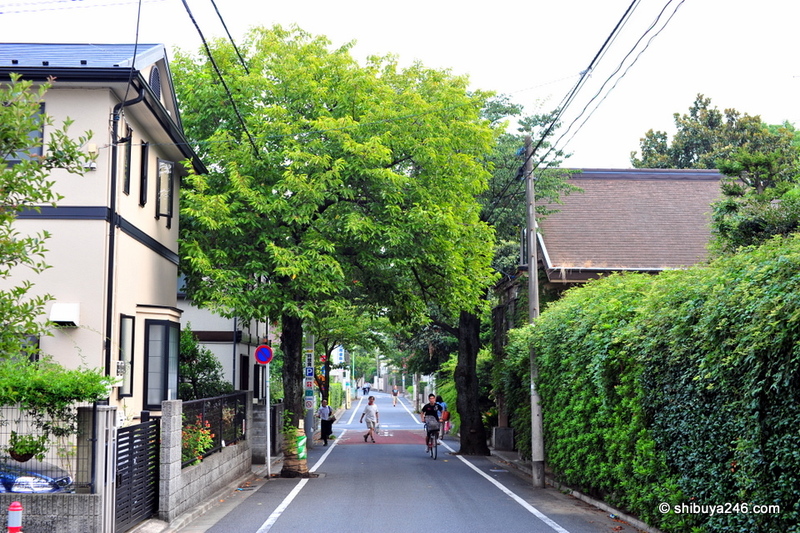 I’d love if you took a trip over to my old neighborhood of chitosefunabashi and snapped a few pics. I would love to live in this place! Its so green and it seems so peaceful. I was living in Tokyo, Sejogakuen Mae from 1983 to 1989. It hace changed a lot. But I liked the pictures with the Sengawa River. This pictures show the way to my home. Really great photo-trip. Beautiful area.